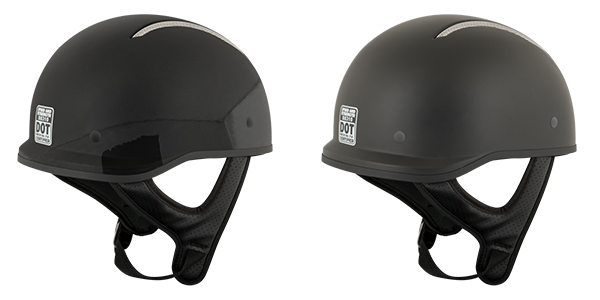 The SS310 Solid Speed motorcycle half-helmet from Speed and Strength is lined with a Cool-Core comfort liner and built with an A.T.P.A. advanced thermo-poly alloy shell that meets or exceeds DOT standards. The helmet features a double D D-ring retention system and an Air Strike Plus direct course ventilation system for proper air flow.